Edaran Tan Chong Motor Sdn. Bhd. (ETCM) and Inspired Motor Sdn. Bhd. 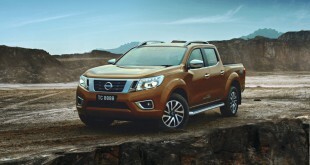 is proud to announce its new 7-year warranty with unlimited mileage for Nissan and Infiniti models. The warranty coincides with Tan Chong Group’s 60th anniversary (since incorporated in 1957). 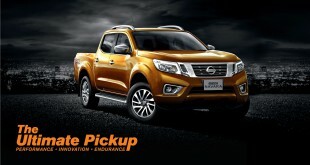 The warranty coverage applies to all Nissan models except Navara pickup, which is capped at 5 years or 150,000km whereas for commercial usage vehicles, the coverage falls back to the previous 3 years or 100,000km warranty. 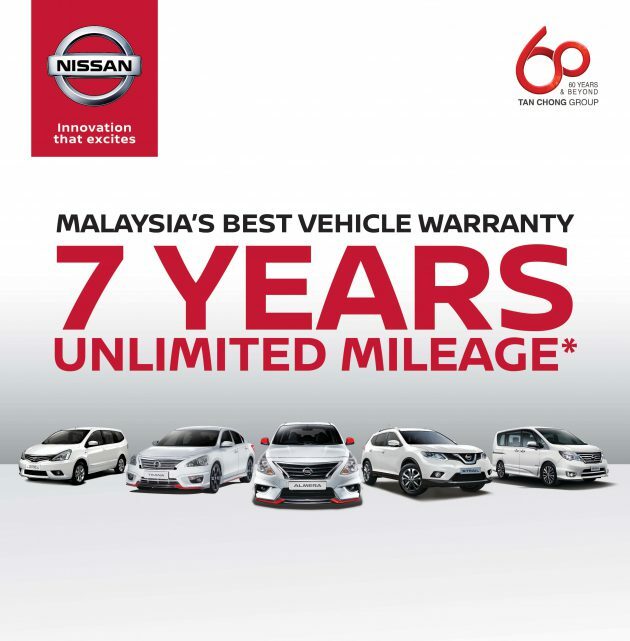 The 7-year warranty is fully undertaken by Tan Chong Group, and transferable to subsequent owners within the coverage period. The first 5 years coverage is identical to manufacturer’s 3 years warranty, while 6th and 7th year warrants engine, transmission, and selected parts coverage. An extended warranty program for existing owners will soon be announced and offered. In conjunction with Chinese New Year, ETCM will be giving away Hitachi premium home appliances worth RM108,888 to January and February lucky winners. The campaign is a unique collaboration between ETCM and Hitachi Sales (Malaysia) Sdn. Bhd., which gives an opportunity for customers to win these appliances when they purchase and register a Nissan vehicle during the promotional period. 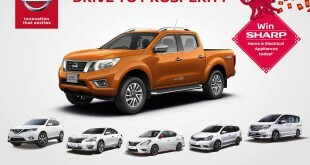 During the campaign, ETCM is also offering attractive rebates and savings up to RM6,500 for selected Nissan models, as well as the continuation of 0% Easy Down Payment Scheme and RM1 Promotion.